The AFL renewed a threat to remain at Domain Stadium in 2018 as tense final stages of negotiations on an historic deal to shift football to Perth Stadium boiled over this week. 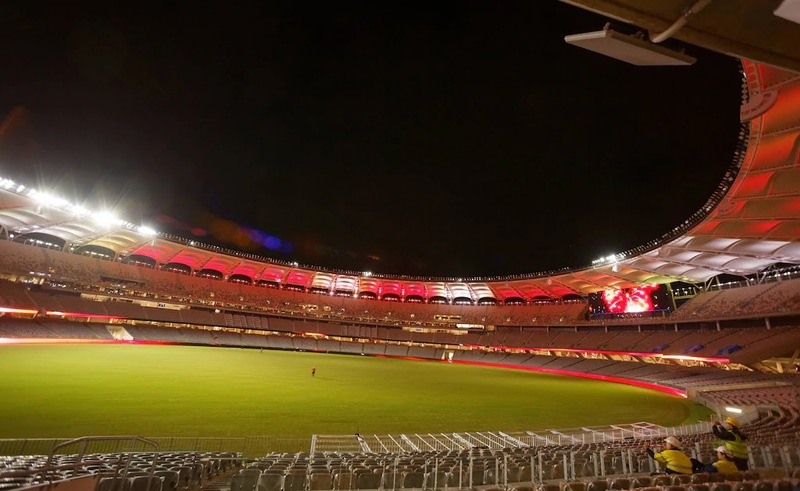 The Weekend West understands that the threat was made after the State Government refused an AFL demand that it be able to access money generated by other sports at the stadium if its own share of stadium income fell short of targets. Receive a guaranteed $10.3 million a year for the first 10 years of the deal to fund WA football. Have the deal independently reviewed after seven years. Be able to access up to $10.3 million a year of money football generates at the stadium in the following 10 years. Have about $5 million of debt remaining at Domain Stadium paid out by the Government. Have the WA Football Commission relocated to West Coast’s offices at Domain Stadium for the short to medium term after the Eagles shift to a new facility at Lathlain Park. The Government has been on the brink of clinching the historic deal for several weeks but has grown increasingly frustrated by several bids by AFL heavyweights to peel back conditions. The conditions involved clauses on which the Government felt it had reached satisfactory agreement with West Coast, Fremantle and the WA Football Commission. Central to the tension was a clause that football access up to $10.3 million a year of football’s share of the stadium economy in years 11 to 20 of the deal. The AFL wanted to be able to access money generated by other sports at the stadium to make up any shortfall in that figure. The Government refused, sparking the AFL threat to remain at Domain Stadium. The Weekend West asked the AFL yesterday if it had threatened to stay at Domain Stadium and tried to get access to earnings from other sports written into the deal. It would require a remarkable backflip by football not to shift to Perth Stadium. A Fremantle AFLW fixture has been scheduled and West Coast and Fremantle are lobbying the AFL to host the first home and away game there. In June, Mr McLachlan claimed the deal was “99.1275 per cent” complete. “Of course the deal will get done, ” he said at the time.